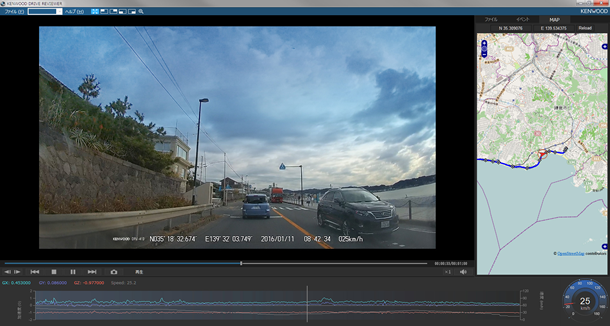 Recording at 27 frames a second creates a natural and progressively smooth video. With latest motion detection technology and its own internal battery, DRV-410 automatically activates and records video when motion is detected near the front of the vehicle. 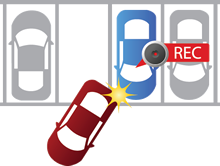 During parking mode, the security indicator will have a deterrent effect against car theft or vandalism. KENWOOD DRIVE REVIEWER is a PC application for displaying video recorded with the device. The application can be downloaded from the JVC KENWOOD website.